Vital Signs: return to Paris! Fresh from the glow of the festival weekend we travel to Paris on Sunday to resume our collaboration with Pierre Levy, Boris Wiseman and Alizée Gau. 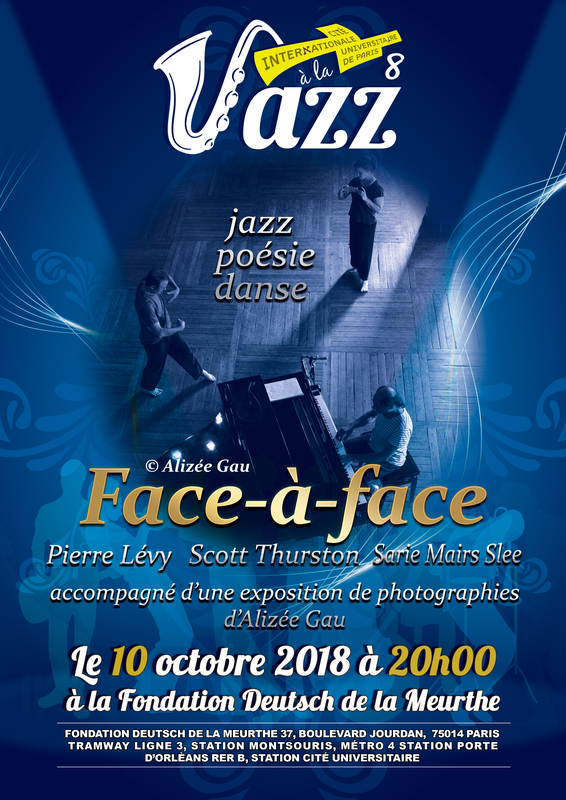 We have two full days rehearsal at the Fondation Deutsch de la Meurthe of the Cité Internationale Universitaire de Paris and on the third we perform Face-à-Face (Encounters) as part of CIUP’s annual Jazz festival. We’ll reprise some of our material from Wrestling Truth, but reconfiguring it to suit an improvisational setting. We made roughly half the piece back in July (see the blog below) so there’s a lot of work to do – but we’re very excited about being in Paris again!